CLOSE UP: Smiling man snowboarding off piste drags his hand through the snow. POV: Snowboarding off piste down untouched powder snow high in sunny mountains. 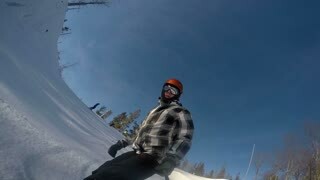 AERIAL: Unrecognizable female snowboarder riding off piste on a beautiful day. 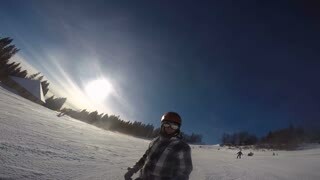 SELFIE: Snowboarder carves untouched snow while riding off piste on sunny day. SLOW MOTION: Extreme freeride skier shreds the snow off piste on a sunny day. LENS FLARE: Young woman snowboarding off piste in the stunning sunny Alps. Skier point of view skiing down hill and off-piste through evergreen trees covered in fresh powder on a steep back country slope..
Aerial: Hiker climbing snow mountain, ski touring backcountry off piste mountaneering alone, scenic snow capped alps background. Aerial view tracking a snowboarder off piste in Fresh snow. In the French Alps in winter. Aerial view tracking a snowboarder from above, off piste in fresh snow, in the French Alps in winter. Aerial shot tracking a snowboarder off piste in fresh snow from above. In the French Alps in winter. point of view video of man skiing off piste down a mountain in deep powder snow above the clouds.